Offered here is an undated flag from the Legends of Golf tournament signed by multiple participants. 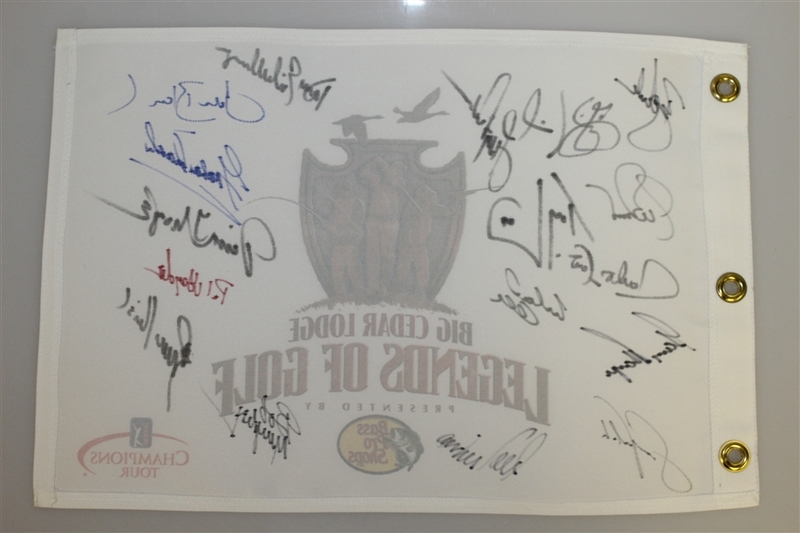 The Legends of Golf tournament lead to the creation of the Champions Tour. 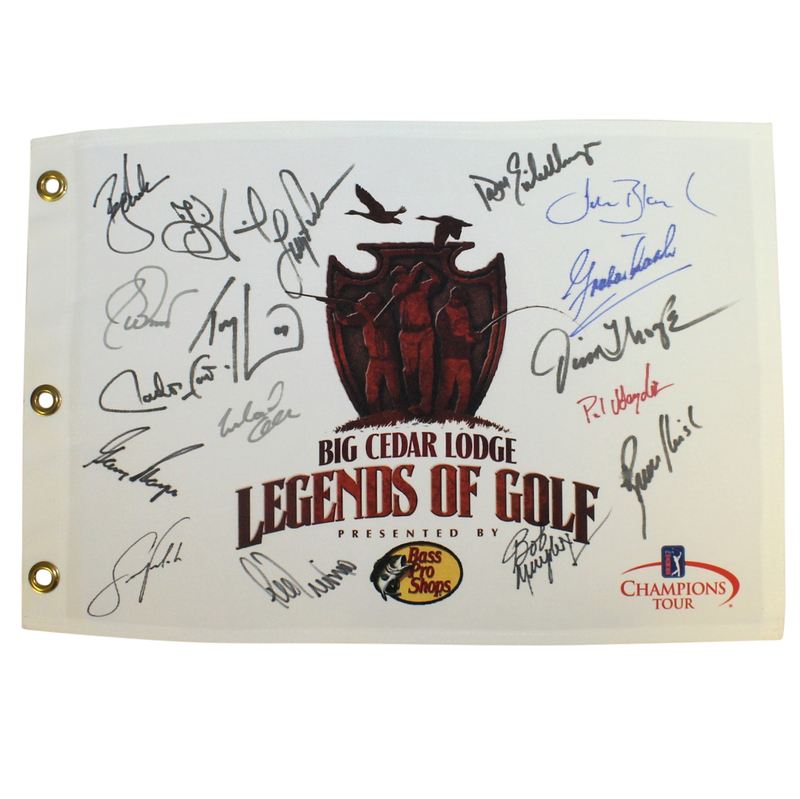 This flag is signed by Gary Player, Lee Trevino, Bob Murphy, and many more.